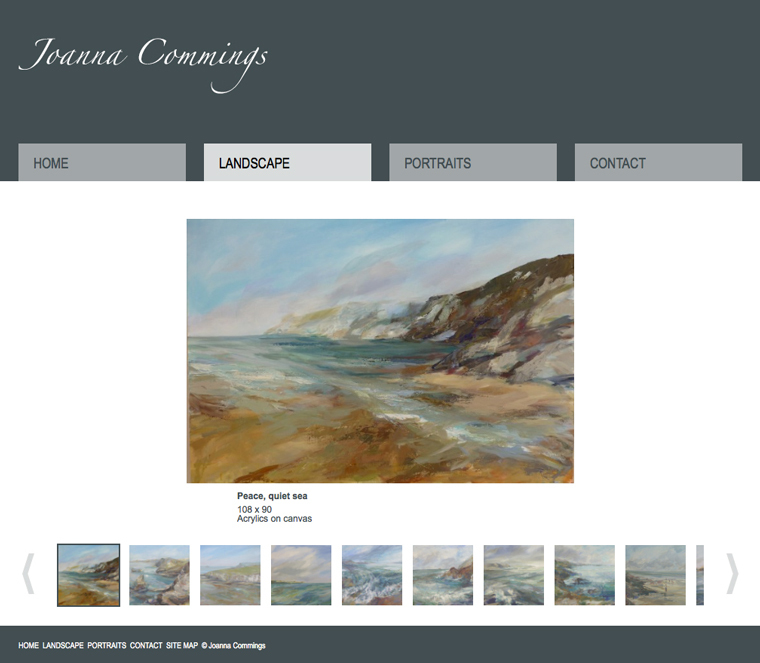 The artist Joanna Commings wanted a website that showed off her paintings and gave her the facility to upload and edit images in her gallery. The site has been upgraded to allow all images to be edited. There are two galleries that Joanna is able to edit, Landscape and Portraits. They are navigable via the thumbnails below.